From one of our fellow Canadian-focused organizations in the San Francisco bay area. Prime Minister Trudeau reaffirmed that no matter who we love or how we identify, all of us deserve to feel safe and secure, live free from discrimination and persecution, and express ourselves fully. We must continue to fight against homophobia, transphobia, and biphobia, and to defend gender expression, gender identity and sexual orientation rights. I am personally committed to fight hatred, honour love, and defend human rights for all. The march will begin around 11:00am, at the Embarcadero, and will end at the City Hall, at around 14:00. Please join me, together, we can build a world where all of us are free to be who we are and love who we love. Dress comfortably, colorfully, bring your friends, family, your dogs…and your bottle of water. The exact departure point will be communicated very soon – look for Canadian rainbow flags. Edward M. Hildebrand Fellows are Berkeley Graduate Students who have received financial support for their dissertation research from Canadian Studies. Brendan will be teaching US History here at Cal in Fall 2018 and Spring 2019. Caitlin has accepted a 3-year postdoctoral fellowship in the Glendon College Political Science Department at York University in Toronto. 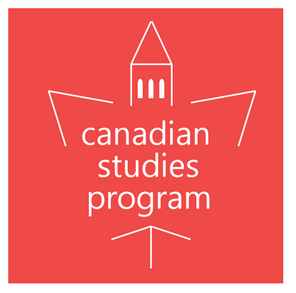 This entry was posted in Canadian Studies Program UC Berkeley and tagged Canadian Studies Program UC Berkeley on June 18, 2018 by Michael K. Barbour.